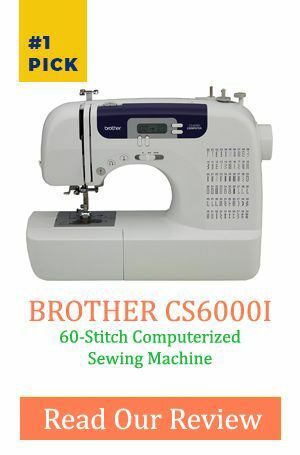 Do you have some quilting work but cannot seem to find the best sewing machine for the task? 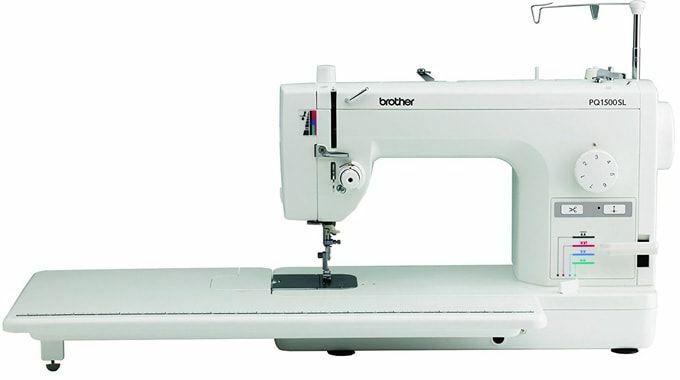 Look no further than the Brother Pq1500sl High-Speed Quilting and Sewing Machine. It is the dream machine among serious and large-scale quilters. It is among the most reliable, and most elegant models among the Brother brands. Quilting is not a very easy job to do, and it can prove frustrating if you get it wrong one too many times. To prevent this scenario, this machine has a feature that makes it possible for the user to align the seam lines so that the seams come out in a uniform, well-aligned manner. Fixing zippers no longer have to be stressful, frustrating task. The feature allows the user to adjust the machine accordingly so that they can fix accessories on just about any machine. The foot pedal is conveniently located underneath the machine so that it does not come in the way of your work. The speed of the machine is controlled through the foot pedal. You can speed up or slow down your work depending on the pace you are comfortable working at, without much involvement of the hands. The positioning is such that you avoid injury your feet while at work. The machine is unique in itself in that it comes with 5 bobbins, a feature that ensures that you have a constant flow of thread throughout your sewing exercise. The bobbins are well fixed in place, and you do not have to worry about the needle coming off in the middle of your tasks. This is a time-saving feature that makes it easy for you to cut off unneeded thread pretty fast. However, please note that the thread cut is quite short, so allow it some wiggle room if you need a longer thread. Keep a pair of tweezers nearby just in case you will need to do it manually. The list of other accessories that make quilting easier for you cannot be exhausted. Q. Is the sewing machine portable? Q. Can I use it for regular stitching purposes? A. The machine is designed for quilt work. It may not be ideal for light fabrics because of the throat space it allows. Q. Do I need to have an expert come over and set it up for me? A. This is purely a matter of preference. You can choose not to have it set up by an expert. The user manual is straightforward and the instructions are well laid out with diagrams for more natural understanding. 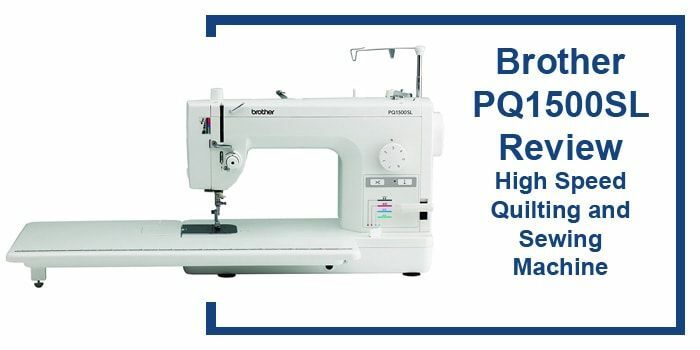 Anyone who is a fan of quilting, or whose business revolves around quilt work should seriously consider acquiring this Brother Pq1500sl High-Speed Quilting And Sewing Machine. I strongly recommend it because it is durable, sturdy, and has been listed as one of the best quilting machines. Its speed and simplicity are a combination that is not easy to find in other quilting machines. Although a little costly, the results of your quilting work will speak for themselves. Once you master its use, you will want no replacement for it. It will suit your tastes and preferences.